Hello! Today I have a quick swatch of Lush Lacquer 'Clowning Around' to share. This polish is old enough that the brand has since been renamed, and is now known as Polish Me Silly. I wasn't part of the indie world when 'Clowning Around' was initially released, but picked it up straight away when I found it in a destash. Read on for my swatch and more info! 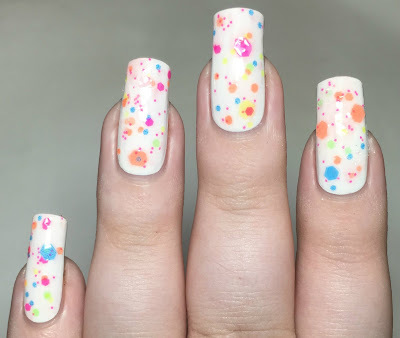 'Clowning Around' is a clear base full of neon hex glitters in all different sizes and colours, including pink, purple, yellow, green, orange, and blue. As my bottle is from a destash, it is preloved and has a fair fill line on it. This does mean that the formula has thickened slightly, but I still found it easy to apply. Below is one coat with topcoat over white. What do you think? 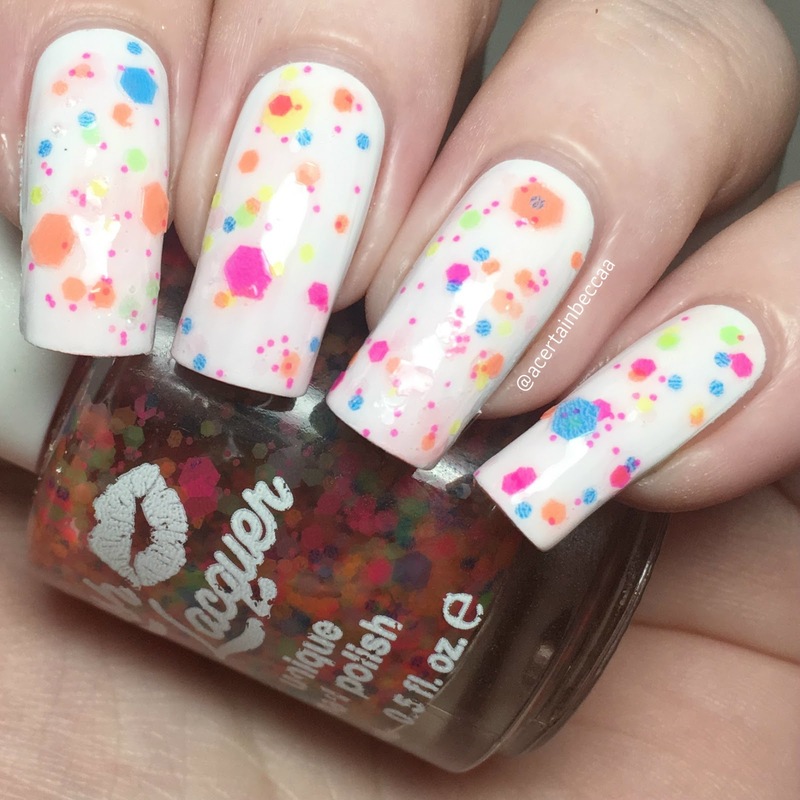 Isn't it such a fun polish?! I had heard nothing but great things about it, so I'm glad I managed to find a bottle for myself. It looks fabulous over white but I do want to have a play around over other colours. Maybe you'll see it again soon! As mentioned, Lush Lacquer has since rebranded and is now Polish Me Silly. Thankfully, they still make 'Clowning Around', which is available on their etsy store here.